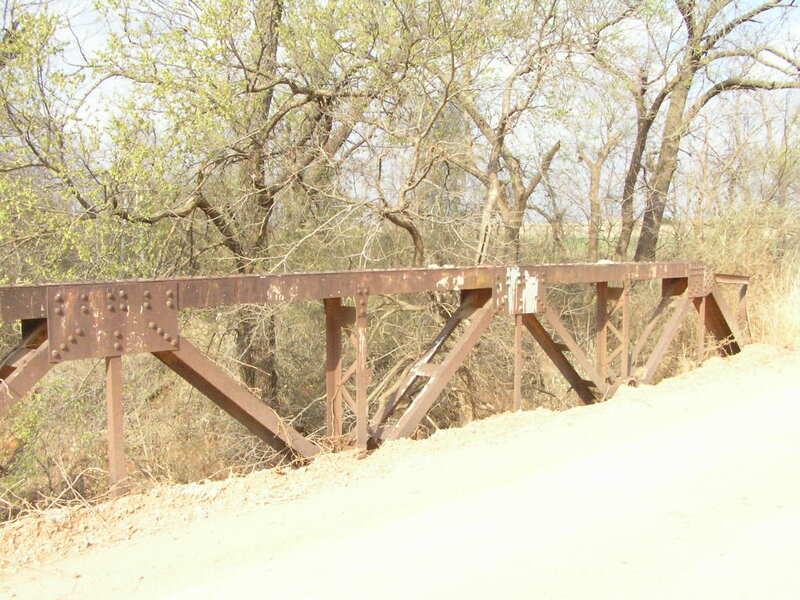 East Beaver Creek Bridge, Logan Co.
Records show that this little 48-foot riveted Warren pony span was built in 1936. The bridge stands less than a mile southwest of Orlando. Below, a view through the bridge looking to the north. The deck of this bridge is concrete. 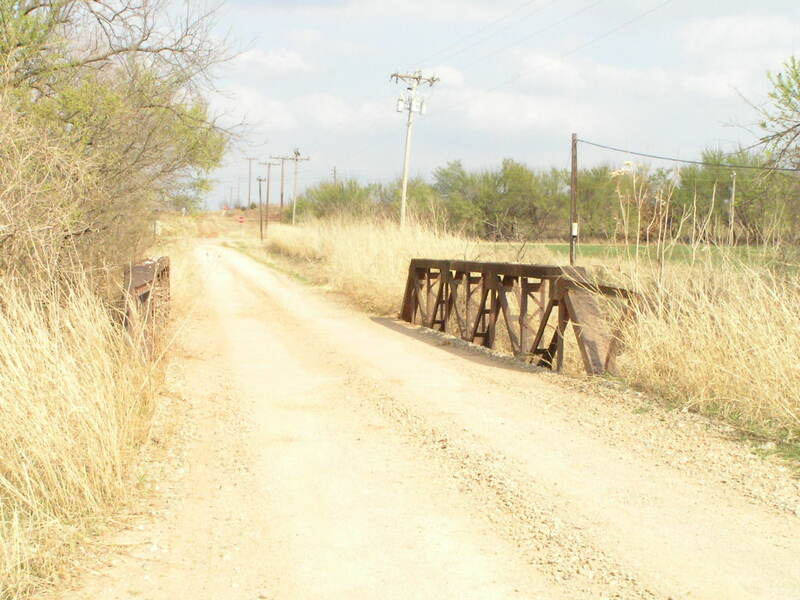 The construction of this bridge is very simple. Above, detail of the truss. 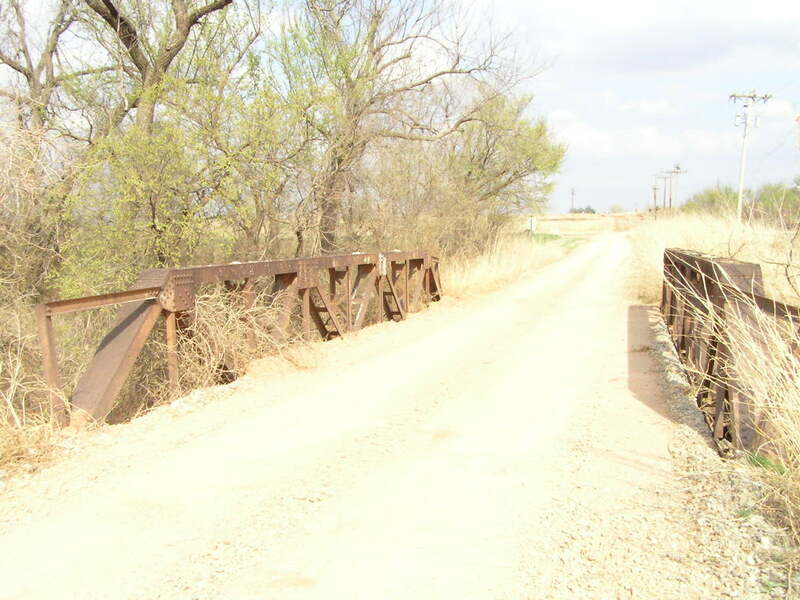 This bridge is 4 panels long, not eight. 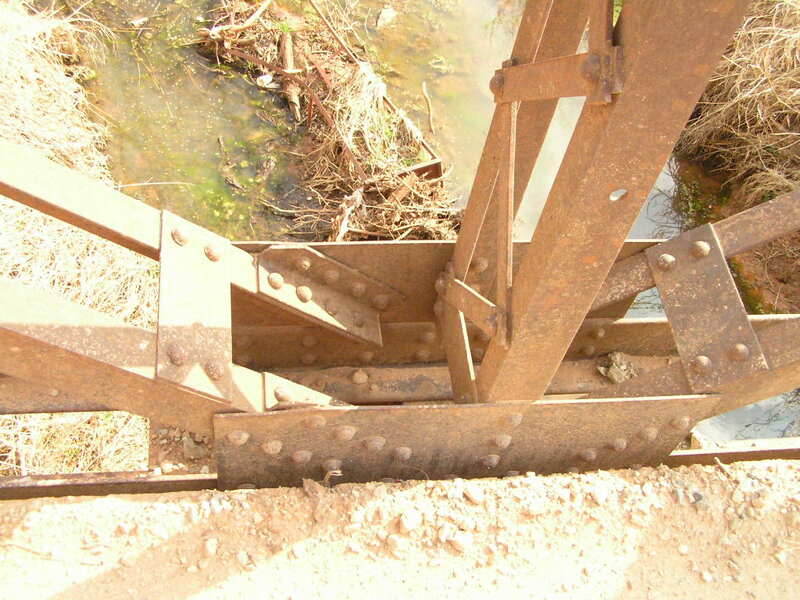 The purpose of the single vertical angle appears to be for attaching a railing, which has been removed. Below, a typical lower chord connection. Notice the extra angle riveted to the diagonal, this is so both legs of the angles that make up the diagonal may be connected to the gusset plate. Above, another detail of the truss. You can see a railing mounting hole in the angle, and the field connections made with square-head bolts. Below, another view thru the bridge. 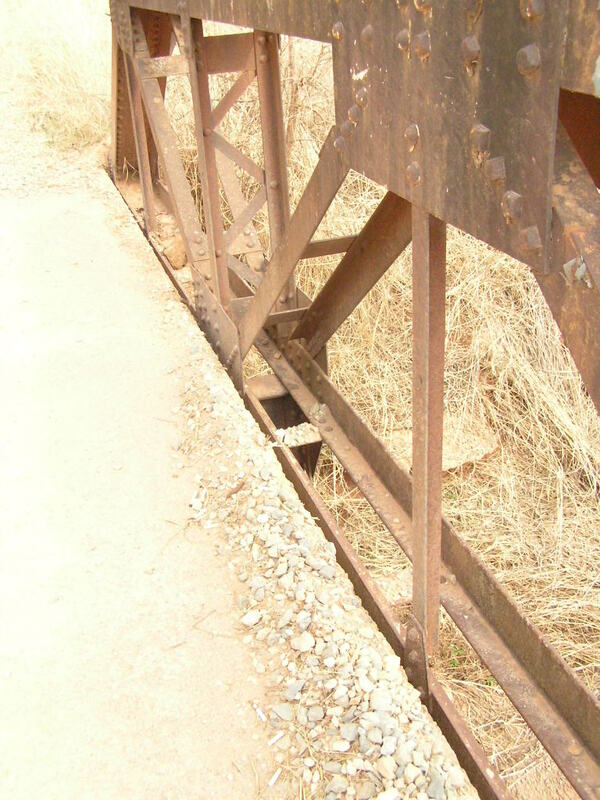 Many small pony trusses such as this were built up thru the 1940's.